Shawn: Skinny-licious! Are you telling me that skinny and delicious can be included in the same word? Shauna: I know. It sounds like a misnomer, but it is true. We can eat ourselves skinny! We need food to lose weight and give our body the things that it needs to function--that is the right food. What we eat and when we eat makes up ninety-percent of our weight loss results. I was training and running marathons and still gaining weight. Shawn: You have so many delicious recipes in your cookbook, Skinny-licious. Do you have a favorite dish? Shauna: Well, it does depend on my mood, but I often tell people to start with Thai Coconut Chicken Soup. One of the great things about Skinny-licious is it calls for foods you are familiar with and can be found in your local grocery store. As a mother of five children, I did not want to make food for me then something different for them. Sue: As a single, working mom that is so important! There just isn't time. Shauna: The recipes are so tasty, my children beg me to make them and I know I am giving them food that is not just good for weight loss and weight management, I am giving them food that is nourishing. Shauna: Absolutely! When we eat tasty, delicious food, we satisfy our palates and cut cravings. Shawn: Was there one food that was hard for you to stay away from? Shauna: Yes. One of the foods that was most difficult to pass up was hot French Bread. I love it paired with Italian food. However, I experimented with food to see what sped up weight loss and what slowed it down. I found that white flour and sugar slowed weight loss so I tried to stay away from those foods most of the time. Shawn: There you have it: Skinny-licious! Where can we find your cookbook, Amazon? 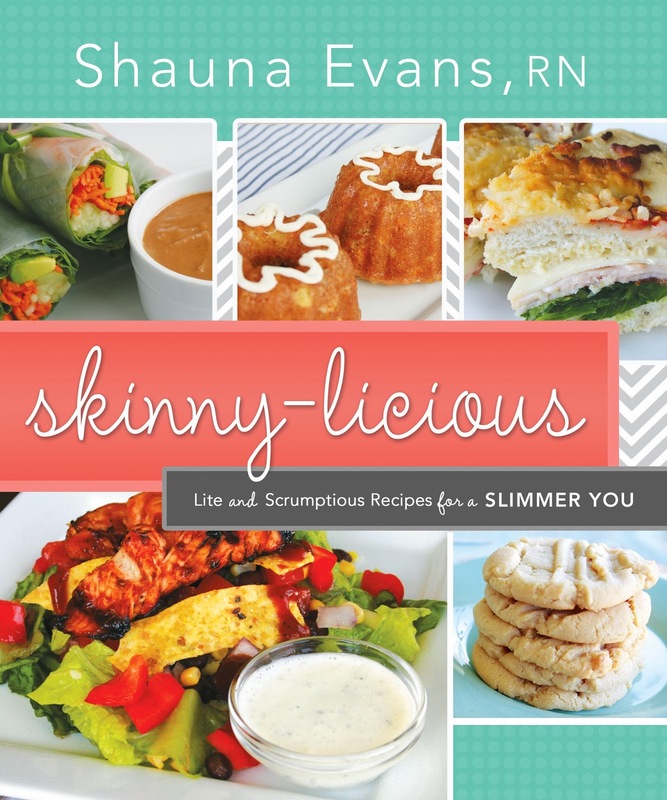 Shauna: Yes, you can find Skinny-licious at Amazon.com, Barnes and Noble and other fine bookstores. There was a little bit more, but that was the main crux of it! Currently, I am sick so my voice was deeper, crackly--I like to think of it as sultry, but I doubt it!